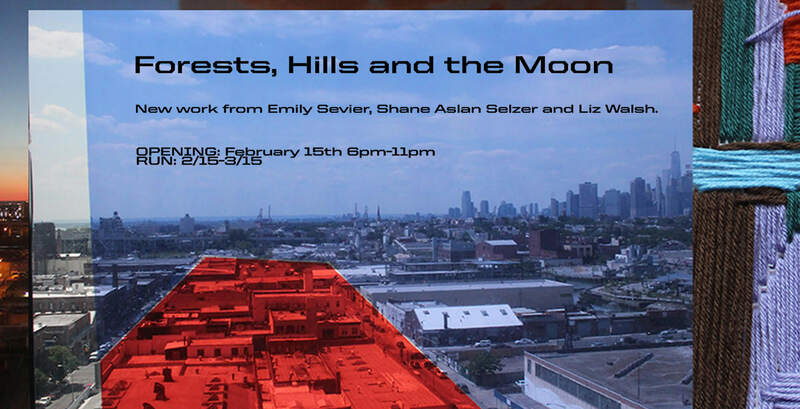 Forests, Hills and the Moon: new work by Emily Sevier, Shane Aslan Selzer and Liz Walsh. On view February 15th through March 15th, 2015. This show featured three artists whose work embodies the thrill of the chase. The goal of their searching is to connect to their environment as an observer. Each does so with different materials, but all eventually gain a sense of reflection that validates their idea of place. Their creations bring recognition to areas sometimes ignored or considered desolate, offering both refuge to the artists as well as the spaces they examine.